Along came a spider and sat down beside her… Spiders are pretty amazing with nearly 38,000 known species and counting. 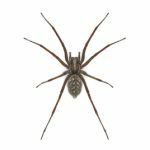 Understandably, most people do not want to find a spider in their home; but when spiders are found outdoors we can appreciate all of their benefits to the environment. They are a predator to some harmful insects and a food source for desirable critters like birds and fish. All spiders can spin silk but not all of them build webs. Here are some interesting ways they use their silk: just like spider man they use a silk line to keep from falling when traveling on vertical surfaces, anchoring the silk periodically like a safety rope; they use silk to create a protective sack for their eggs; they may make a silk sack as a shelter for themselves whether above or below ground; and they use a silk line to travel on the wind from higher elevations—called ballooning. 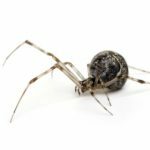 This harmless arachnid is the one responsible for most of those hard to reach webs in the high corners of your home and garage. Although a nuisance, it is not really interested in you and is not a health risk. Light brown in color, it has a bulbous abdomen. Although it gets its name from the myth that the female eats the male after mating, this is actually a rarity. 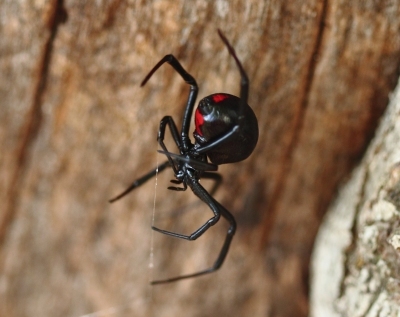 The black widow is very common in The Grand Strand and readily identifiable by the orange or red hourglass marking on the underside of its abdomen. 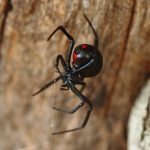 This shiny black spider hides in woodpiles, sheds, barns, crawlspaces, under stairs and if it is provoked can bite and inject venom. Depending on the sensitivity of the victim, location of bite and amount of venom injected, the results can vary from mild to severe. This is probably the most mis-identified spider in South Carolina. 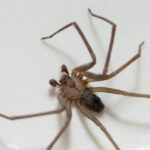 Its range does include the southeastern United States, but it is a rare find in South Carolina and we have never found a brown recluse in The Grand Strand area. It is a yellow to tan spider with a characteristic violin-shaped image on its back. While its body is only 1/2”, its long legs give it a larger appearance. Its venom is potent and causes necrosis. 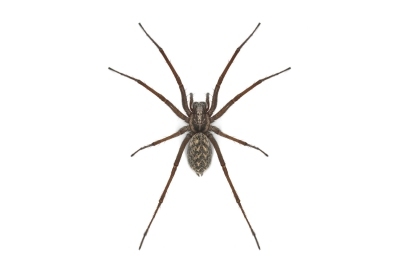 This is the most common spider in South Carolina. 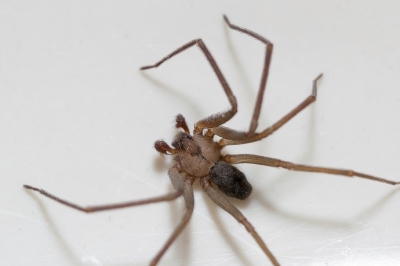 It is a large spider with a hairy appearance and often is mistaken for a brown recluse. They are often seen during the summer in the woods and open grassy areas or along lakes and streams. They run fast, up to 2 feet per second. They are dark brown with paler stripes or markings. Its bite can cause a sharp stinging pain, but is not venomous. Female wolf spiders carry their young spiderlings on their backs making it look like they are a giant spider. If you try to step on the spider while it is carrying the spiderlings they scatter in a thousand directions. 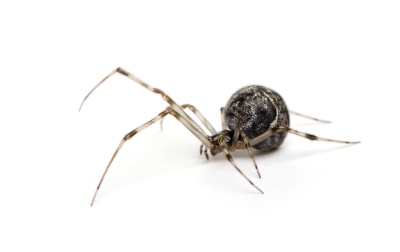 Spiders are a covered insect under our Quarterly Pest Management Program.